Killed In action 28th June 1915. Buried in Grave VII C15 in Twelve Trees Copse Cemetery. ROLL OF HONOUR. Killed in Action. Dter. —On the 17tb ult., in Gallipoli, Lieutenant Edward Arnold Dyer, 9th Batt. Shropshire L.1., attached to the Ist Border Regiment, 29th Division, husband of Barbara Dyer, and eldest son of Mr. and Mrs. Edward Dyer, 15, St. Helen’s Road, Hastings, late of Hill House-, Alton, aged 41. 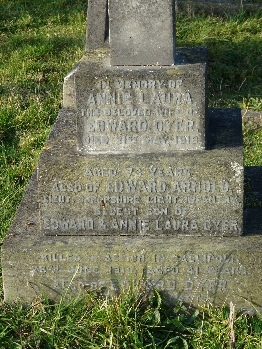 Lieutenant Edward Arnold Dyer, Shropshire Light Infantry, was killed in the Dardanelles on June 28th. Born in 1873, he was the eldest son of Mr and Mrs Edward Dyer, of St. Helen's roads. He served in the South African War, volunteering from the H. A.C. into the C.I.V's, and received a commission in the Imperial Yeomanrv, retiring with the rank of hon. 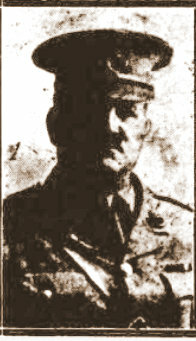 lieutenant in the Army. He held both the Queen’s and King’s medals aod six bars, and was a freeman of the City of London. When war broke he out was practising in Canada as a barrister and solicitor. He obtained a commission in the Remount Department, 1st Canadian Contingent, but was transferred to the 9th Battalion Shropshire Light Infantry. He was ordered to the Dardanelles on May 19, and attached to the 1st Border Regiment. Lieutenant Dyer was educated Brighton College. married Barbara, daughter of the late Rev. Simpson, and leaves a widow and two sons. Roehampton Hospital, lately visited by the King and Queen, is a hospital for giving new legs and arms, etc., to soldiers who have lost them in the War. 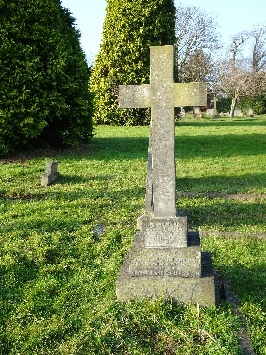 Mr. Wilson Noble, Park Place, Henley-on-Thames, formerly Member for Hastings, has endowed a "bed for the duration of the War" in memory of Lieutenant E Arnold Dyer, Shropshire Light Infantry, attached to the 1st border Regiment, who was killed in action on Gallipoli Peninsula, in June 1915. Lieutenant Dyer was the eldtst son of Mr. Edward Dyer, of Hastings. Photography showing the exterior of the hospital, and the one-legged men at football and racing, appeared in the Pictorial Advertiser last Thursday.